February 3, 2011 marks the Chinese New Year and the beginning of the Year of the Rabbit. The Chinese New Year is the most important of the traditional Chinese holidays and is one of the world’s most widely celebrated – with Chinese New Year celebrations and festivities extending far beyond China itself. While traditional Chinese New Year traditions vary widely from region to region, you too can get in on the fun even if your Chinese cultural knowledge is limited to what you have learned from fortune cookies. For starters, take a trip down to your local Chinatown. Nearly every major city has a vibrant Chinatown and it’s a great place to learn about Chinese cultue. If you go on or around February 3rd it will also be a great vantage point to observe Chinese New Year celebrations first hand. You can expect beautiful decorations, plenty of celebrating locals and possibly even parades and fireworks. Did I mention food? We all love Chinese food but there is a big difference between what you get from your local Chinese joint and the real thing. One authentic and unique Chinese dish is soup dumplings – one of my personal favorites. Soup dumpling are like the classier, grown-up version of the steamed dumplings you are used to. I highly recommend finding an authentic Chinese restaurant and ordering a few rounds of these delicate, juicy packets of joy. Or if you are really brave you can try to make them yourself. 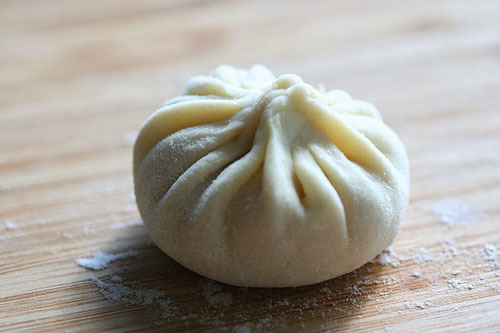 For a great introudction to soup dumplings, not to mention a killer recipe, check out this post. No matter how you chose to ring in the Year of the Rabbit, we hope that your Chinese New Year celebrations are a blast.